Oracle E-Business Suite Release 12.2 installation comes with a new feature called “Online Patching” with two editions (versions) of the application code and seed data. The file system contains two complete copies of the Oracle E-Business Suite and technology files. In the database, we use the Edition-based Redefinition feature to create a new database edition for each online patching cycle. The "Run Edition" is the code and data used by the running application. As a developer, you will connect to the Run Edition whenever you are engaged in normal development activity on the system. The "Patch Edition" is an alternate copy of Oracle E-Business Suite code and seed data that is updated by Online Patching. 1) How to see, the RUN, PATCH & NON-EDITIONED Filesystems? By just setting the ebs environment, shows the filesystems. 2) How to identify the PATCH & RUN edition of filesystem? 3) How to connect to the PATCH & RUN edition of filesystem? 4) How to display edition status ? To help keep track of what environment and edition you are connected to, it can be helpful to set the TWO_TASK or FILE_EDITION environment variable as your shell prompt. 5) How to find out whether a system is in an Online Patching cycle using the "adop -status" command. 6) How to find names and status of past and present database editions using the ADZDSHOWED.sql script. The below lists the existing database editions and identifies the OLD, RUN, and PATCH editions. Edition Name Type Status Current? 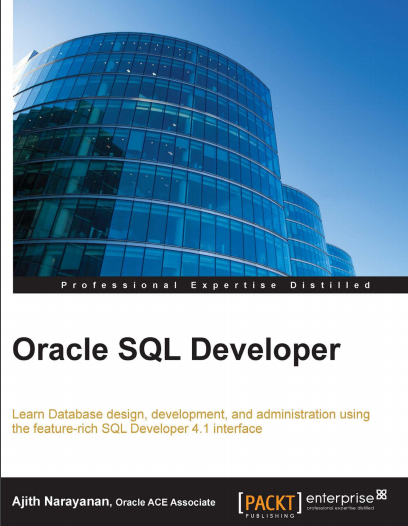 7) How to change to the patch edition of database using SQL*Plus? 8) What are the Tools and Scripts for Edition-based Development? 9) Useful SQL*Plus scripts that provides information about the state of your editioned development environment. All ADZD* scripts are found under $AD_TOP/sql. Add this directory to the SQLPATH environment variable so that you can refer to the scripts by simple name. ADZDDBCC - database compliance checker, shows violations of the database object development standards documented in the Oracle E-Business Suite Developer's Guide, Part No. E22961. Warning: this script takes a long time to run. ADZDSHOWED - Show database editions and current edition. ADZDSHOWLOGEVT - Show only event and error messages from online patching diagnostic log (a useful summary, without the detailed statement text). ADZDSHOWLOGERR - Show only error messages from online patching diagnostic log. ADZDSHOWEV TABLE_SYNONYM_NAME - Show editioning view column mapping for table. ADZDSHOWTAB TABLE_SYNONYM_NAME - Show table information and related objects. ADZDSHOWMV MVIEW_NAME - Show materialized view information and related objects. ADZDSHOWTS - Show important tablespace status. Ensure that you have enough SYSTEM tablespace. ADZDCMPED - Compare Patch Edition with Run Edition. Warning: this script may take a long time to run. ADZDSHOWDDLS - Show stored DDL summary by phase. ADZDALLDDLS - Show stored DDL statement text and status. ADZDDDLERROR - Show stored DDL execution errors and messages. adutlrcmp - Recompile all objects, with before/after status report. Warning: this script may take a long time to run. ADZDSHOWOBJS - Show Object Summary per edition. Counts of actual and stub (inherited) editioned object per edition. ADZDSHOWAOBJS - Show Actual Objects in the current edition. These are the editioned objects that have been changed by the patch. ADZDSHOWIOBJS - Show Inherited Objects in the current edition. These are the editioned objects that remain untouched in the Patch Edition. ADZDSHOWCOBJS - Show Covered Object Summary per edition. Count of objects in old editions that have a replacement in the run edition. ADZDSHOWCOBJX - Show Covered Object List. List of objects in old editions that have a replacement in the run edition. ADZDSHOWSM - Show Seed Manager status. ADZDSHOWTM - Show Table Manager status. ADZDSHOWSES - Show sessions connected to the database (by edition). ADZDSHOWDEP OBJECT_NAME - Show objects that OBJECT_NAME depends on. ADZDSHOWDEPTREE OBJECT_NAME - Show full dependency tree of objects that OBJECT_NAME depends on. Part-II on the same topic, coming soon, watch this space. In next few posts I will try to show how to apply patch to an editioned system in an Online Patching Cycle. We will further see the patching cycle with several phases as shown below. Ø Prepare - creates the patch edition. Ø Apply - apply ARU or manual patches to the patch edition. Ø Finalize - perform any actions required to prepare for cutover. Ø Cutover - Promote Patch Edition to be the new Run Edition. Ø Cleanup - remove obsolete code and data from old editions.